EcoPAK® is a new range of fluorescent batten light fittings that incorporates new T5 generation fluorescent lamp technology and is completely UK produced, the range houses the very latest T5 ballast technology from Tridonic ATCO®. EcoPAK® is extremely robust as it is manufactured from 1.0mm powder coated zintec steel and can be supplied with standard or highly polished MIRO 4® reflectors. Combining EcoPAK® with the MIRO4® reflector ensures excellent vertical illuminance and general illumination characteristics combine to exceed enhanced capital allowance criteria. Luminous reflectance of 95%, this translates into a 20% higher operating efficiency for lighting systems using MIRO® reflectors. Applications: Warehouse lighting, Industrial and factory lighting. Total Lighting & Controls secured the contract from Gloucestershire County Council to upgrade the existing fluorescent lighting to LED at Cirencester Fire Station. School switches to LED lighting. Carrant Brook Junior School in Tewkesbury, Gloucestershire asked Total Lighting & Controls to undertake the conversion of the existing lighting in the dining room and two corridors to LED. Microwave movement sensors were also installed to turn lights off automatically when the areas were unoccupied. The work was undertaken during the half term holidays to enable the installation to be completed safely and with minimum disruption to the school. Existing lighting electrical loads were reduced from 1.59Kw to 1.23KW and therefore, reduced the running costs to the school from £342.00 to £172.00 per annum. 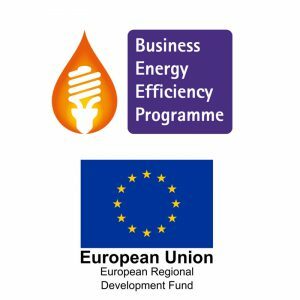 The annual savings of £170.00 per annum (49%) equated to 764Kg of CO2 savings annually.